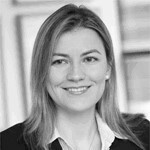 Sylvia Tonova represents investors and states in investment treaty and commercial arbitrations for more than a decade. Her experience includes arbitrations conducted under the rules of ICSID and the ICSID Additional Facility, UNCITRAL, ICC, LCIA, and VIAC. She is also a member of the ICSID Panel of Arbitrators. Sylvia has extensive experience with investments in emerging markets and regularly advises on drafting arbitration clauses and structuring or restructuring investments to minimize political risks. Sylvia is recognized in Who’s Who Legal: Arbitration -Future Leaders (2018) and Legal 500 (2018) and serves on the Executive Committee of the Institute for Transnational Arbitration and on the Advisory Board of Young ICCA.